So you’ve just started your very own online business and you’re likely struggling with how to integrate social media into that business. It took me quite a while to really learn the ins and outs of social media. I was in the exact same position as you are now, searching out as much educational information as possible and hoping to find a silver bullet or huge secret to these different platforms. Social media can be extremely complicated and time consuming if you don’t know what you are doing up front. When I first started my online business I struggled to gain any momentum or any type of following on social media. I was spending countless hours deep in different training courses. Many of these courses helped me, but I soon realized that I was losing focus on the ACTUAL online business I had built. You most likely already understand the tremendous value that social media can provide. Using social media to promote your online business doesn’t have to be as complicated as it seems. We’ve spent countless hours learning everything there is to know about social media so that we can summarize that learning to you now. It’s hard to know which social media sites should be focused on, and which social media sites are simply not worth the huge time investment. You have a business to run, and you can’t be spending all of your time on platforms that simply don’t convert. In order to break down social media sites by importance, I split them into two categories: Major Platforms and Minor Platforms. So what Major Platforms are out there? I list Google+ first on this list because I’ve discussed in great detail Search Engine Optimization (SEO) in the past. Google+ is Google’s very own social media platform. It’s apparent that Google+ would be a major driving in force in content being indexed in a timely fashion and ultimately helps that content’s ranking in the search engine. Google+ may not have quite the audience that the other two major platforms have, but it does have authority when it comes to Google. Google+ does have 395 million active users per month so you can see quite a bit of traffic from this platform. However, the real value comes from the increase to content ranking and exposure to a broader audience resulting from the use of Google+. 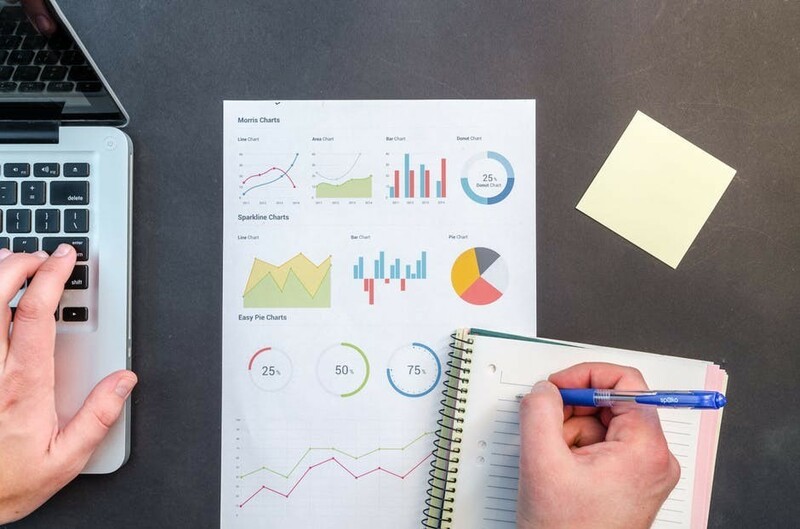 Organic traffic for your online business is primarily driven by search engines and search engine authority ultimately leads to sales. Google+ is definitely a platform that needs some time dedicated to it if you want to make certain that your online business is visible to a larger audience. Facebook is an entirely different monster than Google+ in terms of size. Facebook is the largest social media platform that exists with 2.27 billion active monthly users. Reaching these users is of the utmost importance. While you can gain indexing much quicker with pushing content to Facebook and while it does help with SEO and ranking, the primary benefit of using Facebook lies in its user base. In addition to the potential for gaining organic traffic through Facebook, you can produce ads that are relatively high converting with regards to social media advertisement. Most of you are familiar with Facebook already and likely a user of the platform for casual entertainment. However, the business value to Facebook allows you to generate your very own business page on which you can share your content and interact with users. Facebook will be extremely important to your online success as you build a social media following. As the hottest new social media platform for online business use, Instagram is Facebook’s understudy. Instagram is the visually focused photographic platform that allows users to share their own unique photography, graphics, or repost from their favorite Instagram influencers (with the proper credit of course). Instagram is tough for online businesses that aren’t very visual, however, it has become my favorite platform since the integration of stories with the platform. Instagram allows users to create their own feed and profile where all of their shared photos can be seen in one place. Instagram also has also integrated the use of hashtags, a discover page, and many other new features that make it perhaps the most dynamic of the social media platform. I haven’t yet seen Instagram contibute to direct content rankings. I have seen it contribute to high image rankings in search engines, however, as other users begin to share your content to the masses and within their own content. This can drive organic traffic to your online business when someone sees a photo shared on Instagram that is appealing to them. The top 3 major social media platforms should probably consume 80%-90% of your time spent promoting your online business on social media. However, this doesn’t mean that you should entirely ignore the minor platforms. Let’s walk through which of the social media platforms are classified as “minor platforms” for the sake of this article. Before you judge me too heavily for calling Pinterest a minor platform, understand that it can quickly become a major platform for some online businesses. Pinterest is a visual platform, you simply find content, pin a nice graphic (usually an infographic) and then share this content with a brief write up and your link. Pinterest is structured into Boards and Pins. You can create your own boards, and other users can create boards which act as an overall category for which pins are divided into. You can then create individual pins that fall into each of these categories. Users can share these pins or pin them to their own boards with just a couple clicks which further pushes your content to other users. The tough part about Pinterest is the visual aspect. If your content is not very visual or you don’t create proper infographics for use on Pinterest, you can end up wasting a lot of time here. Visually pleasing content gets pinned, not so visually appealing content is usually lost on Pinterest. You may feel that Twitter is major because of its massive user base. However, it falls short of the major platforms in terms of interaction and visibility. Twitter is a timeline or roll of 140 character Tweets that are sent out to your following. While you can include links, hashtags, and even photos Twitter is primarily used for quick thoughts and sharing of memes. Depending on the context of your online business, Twitter can be utilized to effectively promote. The problem with Twitter is that you usually need a massive following and quite a bit of wit and humor to convert any sort of sales from this platform. Most online business owners simply don’t have the time to spend creatively curating tweets that will spark users curiosity. In addition, using Twitter properly would require quite a few tweets per day. If you are properly developing new content that ranks in Search Engines then you most certainly don’t have time to focus on both the major platforms and building a massive Twitter following. Let’s be honest. With the overwhelming adoption of Instagram, Snapchat has become essentially obsolete for business promotion. To put it frankly, it seems that Snapchat has really just become overwhelmed with young “models” showing off their body to perverted men. This is not a platform that will be lucrative for any sort of honest online business venture you might be pursuing. I recommend avoiding Snapchat entirely and not even utilizing it for “share only” purposes. 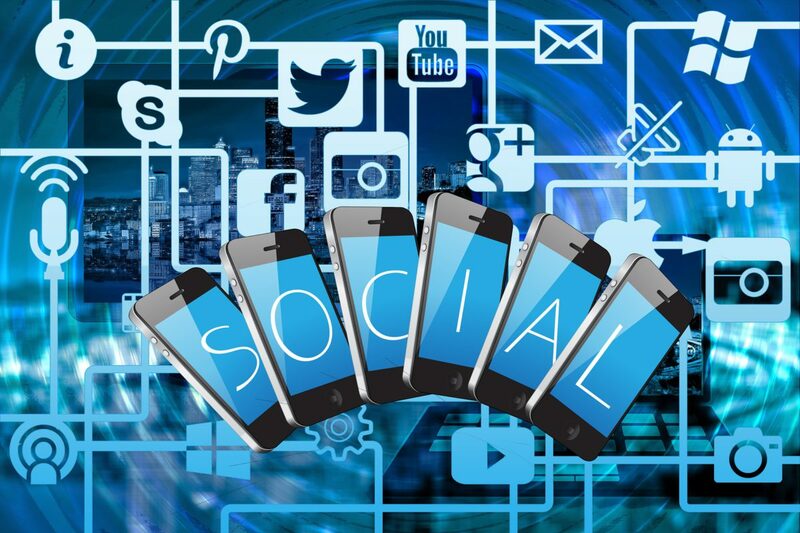 If you spend too much time on the minor social media platforms you could really be missing out on the large amount of traffic and sales associated with the major platforms. 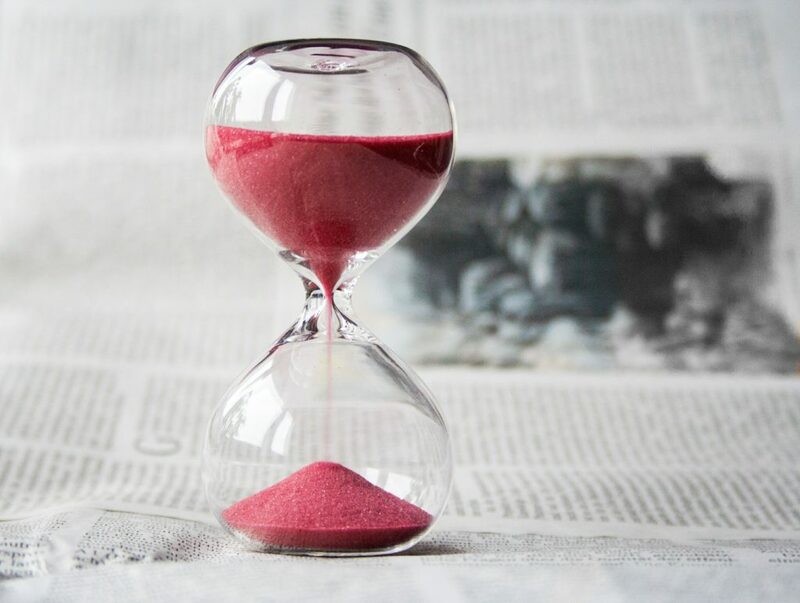 If you only have 2 hours a day to dedicate to social media platforms, don’t spend those hours focusing on platforms that simply do not convert. The minor social media platforms should be share only. Now, understand that Pinterest can become major very quickly if your niche aligns. If you are developing content for a female audience (Pinterest is primarily female) and say you are promoting beauty products or something similar then you can create very unique infographics or visually pleasing photos that fit perfect into Pinterest. I would argue that Pinterest can take the place of Instagram as a major social media platform if your online business falls into a category similar to that outlined above. Share only platforms are just that, simply copy and paste your link with a brief description of what the content is about. Hit share and then move on. There is a very large difference between the way you will use the minor social media platforms and the major social media platforms. If you spend too much time surfing social media rather than using it as a business tool you’ll end up wasting a lot of time that could have been used developing content and promoting that content to drive organic traffic. As I mentioned above, Google+ is critical for indexing and ranking within the search engines, primarily Google. There are a few key tips that I’ll outline for you about sharing content on Google+. Include your keyword immediately in your post (usually your Meta Title). Include the description of your article in the first portion of your post (usually your Meta Description). Create a story that relates to your target audience in your post. In order to make certain you are maximizing the potential for Google to rank the content you post and for Google+ users to interact with your posts simultaneously… you want to make sure that you incorporate all 5 of the line items discussed above. 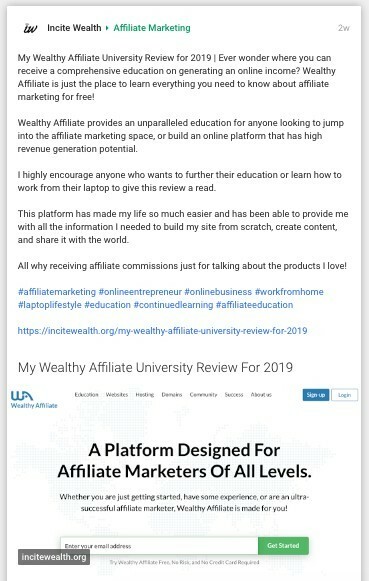 As you can see from this post my Meta Title is “My Wealthy Affiliate University Review For 2019”. The description is included after the | symbol. Everything beyond that is the story I tell that is hopefully going to convince users to click on the link included and visit my website. 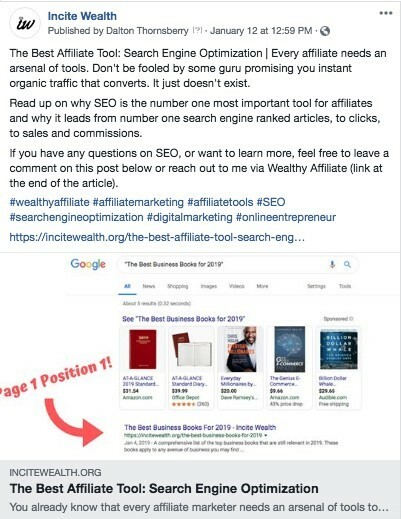 One small thing that you will notice, and this is a feature I absolutely love about Google+ is that I posted this to a group called “Affiliate Marketing”. When you first join Google+ one of the major things you can do to help drive traffic is search for different Google+ communities. Within these communities you can target the people you think would want to read articles or would interact with your online business. I personally chose the Affiliate Marketing group to advertise my posts from this site. 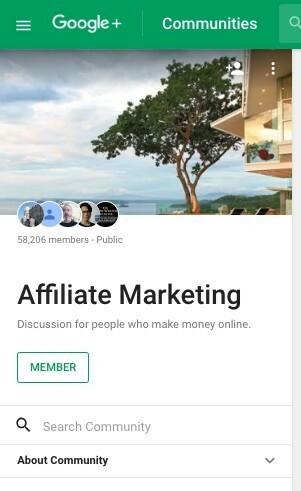 Within the Affiliate Marketing group I can post this link directly, those interested in affiliate marketing then read these articles and discover my favorite affiliate community (Wealthy Affiliate). If you were selling fitness products you could easily target a health and fitness group. I want to emphasize that it’s beneficial to share both within that community and then also post publicly. I do utilize some hashtags that are relevant in Google+. However, you want to make sure to limit the number of hashtags you use to not appear “scammy”. While growing a following on Google+ can be helpful, following and unfollowing is much less useful than joining different groups. The most important aspect of Google+ is the information included in the post. If this information is well developed it gives the search engine more to work with when indexing and ranking your content. If you are interested in following me on Google+ and following my strategies for social media, click here and hit follow. Facebook may not be as beneficial for indexing and ranking. However, search engines do crawl Facebook quite frequently which can’t hurt. Facebook criteria is essentially the same as Google+ as the posts are very similar. The main difference between the two is the user base. Facebook is a bit tougher to get setup, but once you are setup inviting friends, family, and making yourself visible to the public becomes critical. The share-ability of Facebook and its massive user base makes Facebook the hands down largest potential social media platform for promotion. There are two ways to attack Facebook. First, you can create a community page where anyone can contribute. This allows a sense of community. For the affiliate marketing space this can be a very powerful tool as you can interject and share your ideas with like minded individuals. However, once you convert majority of this community it can be hard to gain additional members. Also, building a large user base within your community is complicated because the other users need to share the group with their peers. In terms of sales and promotion of an online business, you may be limited with this type of Facebook interaction. On your own business page you can identify your website pretty easily. You can create your own call to actions and you have a place to post new content within your timeline. What is great about business pages is that you are also able to simply interact with those who follow your page and post periodically between shares of content. This allows organic interaction with those who like your page and want to learn more about how your online business operates. I personally try and post a couple times a week general thoughts surrounding affiliate marketing. When I do this it can spark curiosity. When I post my next article the people that like my business page are more inclined to click and read what I have to say. Facebook is also the best for advertising your posts. If you create an engaging post, people you advertise to will comment and like your post resulting in more visibility on the platform. You don’t want to spend your time surfing on Facebook. Create your post (I actually usually copy and paste from Google+). Implement some hashtags and then work to let people know you have created a new post which can drive engagement. If you want to boost the post to a specific audience, that would be more along the lines of social media advertisement rather than the basic promotion of your online business. Once your post is created, make sure to follow up in between and reference the topic that the post addressed. Make certain to respond to all comments so that people know and understand that you are interested in helping them learn more about your business. Lastly, I’d like to talk about the most visually engaging major platform. instagram can be a great platform to post photos relevant to your business. 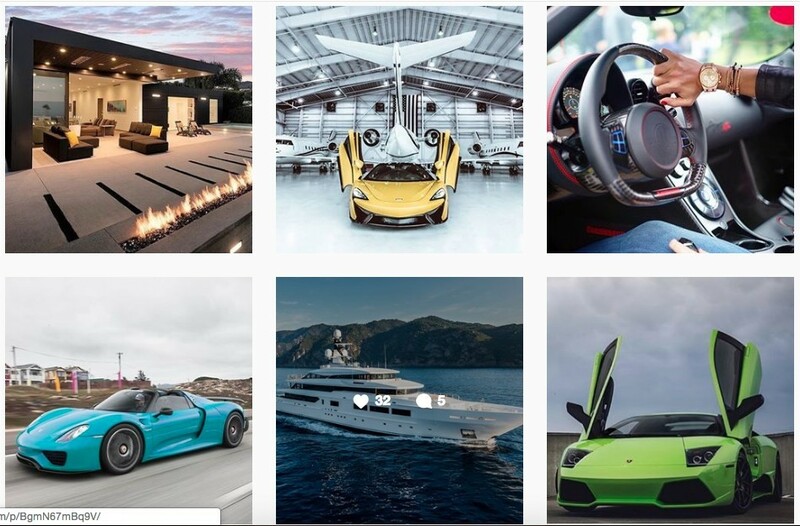 Traditionally, you need to seed your Instagram with your first nine photos (mobile). This way people get a basic feel for your profile before they need to scroll. This also makes your business look legitimate right off the bat. You don’t want to look unprofessional or give users the impression that you are new to social media. Your audience needs to believe you have been around and have some savvy in the social media and online business space. Since Instagram is a visual platform, you want to make certain that your profile is filled to the fold. That is why I suggest sourcing your first nine photos before making your profile a public business profile. Perhaps the biggest tool Instagram has released that will drive engagement with you and ultimately your online business is the Instagram Story. With the implementation of Instagram Stories you can now share your daily lifestyle and video content that can drive interest in your business. Those who will eventually be your customers are able to interact with you and learn and understand who you are. People buy personalities much quicker than they buy a product or service. If you are likeable, and develop trust with those who follow you it’s easier to drive sales in the future. I promote becoming generationally wealthy through online business and different side hustles. I use my daily life and symbols of success on my Instagram story in order to spark curiosity about my business and what I do. My link is included in my bio, and I make sure that all my call to actions indicate that. When users see my daily life the idea is that they head to the link in my bio. This traffic then gets a glimpse into what has generated my online success. They then read my articles and testimonies and become interested in doing this themselves. It is at this point that traffic converts. Interest becomes apparent, link clicks occur, content is read, and sales are made. Building a follower base is simple when you stick to your common theme. You want to make sure this theme represents your business. Since I promote a more luxury lifestyle and side hustles I make sure to post visually appealing symbols of a luxury lifestyle. All of this being said, using the platforms effectively is important but you need to understand how to convert this to traffic and sales. Now that you understand fully how to utilize the different platforms and not waste time surfing, it is important that you make sure you are driving traffic to your online business or website. In order to do so the number one most important thing you can do is create a “Call To Action”. You’ve probably heard countless times that you need to create a call to action within your content itself. However, what most people overlook is the call to action that is necessary on social media. Always make sure to tell people to click the link to buy now, click the link to read the article, click to purchase a product that you’ve reviewed. Whatever it is that you are selling, you need to tell people directly to interact with that product or service. Some other great call to action examples are telling people on an Instagram post to “click the link in my bio to learn my 4 easy steps to choosing a website niche”, or “click the link in my bio to generate an extra $1,000/month with 2019’s hottest side hustle”. These types of calls to action are actually telling people to visit your site. If you don’t tell these people where to find your content then they will never become conversions. Traffic leads to sales and calls to action lead to traffic. There are quite a few ways to use Social Media platforms. However, you don’t want to use them through the lens of a consumer. Think of social media as a stage to share your content and promote your online business. Ditch the surfing habits and search social media to find pages and profiles related to your niche. Target individuals interested in what you are selling and you will have no problems. As long as you follow the steps outlined above and use social media effectively your online business will grow and you will gain better authority in the search engines. If you have any additional questions about social media or what it can do for your online business, feel free to leave me a comment below and I’ll respond personally as soon as possible. If you’d rather send me a direct message head over to Wealthy Affiliate where you’ll be able to send me a PM. Also don’t forget about some of the great video lessons available on social media by clicking here! This is truly an insight into wealth creation and it’s motivation. Less did I know that I can really convert my surfing the web into making money. This is really an eye opener for me to make extra income at my own convenience without much stress and thanks for this information to know the major and minor platforms. Thanks. I hope to see more to this. It’s pretty crazy the opportunity that understanding the internet and how it works can really give us! I was the same way for a long time before I discovered affiliate marketing, online business in general, and in particular Wealthy Affiliate. Glad I could help with the Major and Minor Platforms! I will most certainly have follow ups. Hi Dalton, thanks so much for this post. I am relatively new to this world and have accounts in most of the social media platforms. Unfortunately I know enough to be dangerous which means that some stuff is working and some is not. I love the step by step approach outlined here ad have bookmarked this page to go back to with each of my platforms. I do have a question re hashtags. Should I use them on all platforms or keep them for instagram only? Paul, welcome to the online business community then my friend! We are glad to have you and I’m sure you will do great. It seems to always happen that way. Just enough rope to hang ourselves right? I did the same early on but I’ve since recovered and been able to grow my IG following to around 6k followers which is relatively healthy. I appreciate the bookmark and hope you’ll be reading many more articles I put out very soon. Let me know if you ever have any questions! I actually use hashtags on Facebook and Twitter as well. It can be beneficial and you can target other affiliates who maybe haven’t heard of the product you’re promoting. It builds a sense of community and sometimes people use the search engines within Facebook and Instagram to search for topics they find interesting. That’s where the hashtags can come into play on all platforms. Social media is a great way to promote any sort of business, but you really have to learn the ins and outs. For example, facebook has its own rules and breaking some of those could make you lose followership or get your account banned.I remember when I first started promoting on my personal facebook profile, I got a lot of negative remarks from “friends.” It took a while before I knew I had to create a page for my promotions.I haven’t tried Instagram marketing before. Are there strict guidelines to follow when it comes to promoting external links as there are with facebook? I agree, social media can totally be used to promote brick and mortar businesses successfully as well. The sets of rules are very important to follow, thank you for pointing those out. It’s interesting when so called “friends” become instantly skeptic of you and your hard work. It’s really discouraging but you learn a lot about who your true friends are and usually it is those friends who are receptive to whatever endeavor you pursue. Personal pages can work well, but creating a business page is much more realistic. 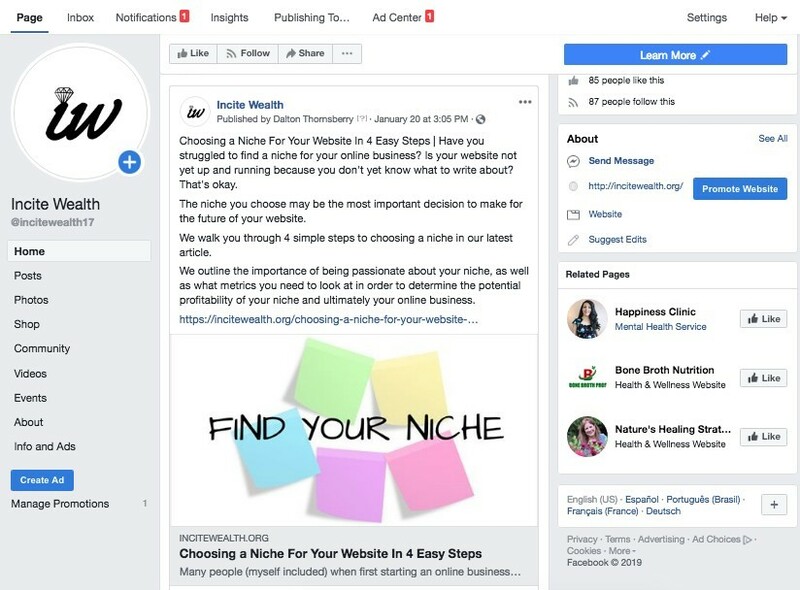 What’s nice about the business page is you can selectively invite the folks who are receptive to your personal marketing and they will likely help you spread the word. I don’t have any problems with external links on Instagram, however I am not promoting direct affiliate links. I promote links to my homepage and then my users (because my content is generally engaging) click on my content and that leads them to my affiliate links. I would say as a general rule, don’t be “spammy”. Facebook doesn’t like it and Instagram is owned by Facebook. Better to just not chance it. Likely the result will be not getting an ad approved but overall this can be bad for business. Promote your own online business (not long or spammy looking affiliate links). Be careful with bit.ly links as well as these are often used by affiliates to hide the affiliate link. Thank you for sharing this great information about social media. I just started my online business and I want to learn how to promote my business on social media specially Facebook and this article has a ton of valuable information for me I think you will a lot of people with this information. Do you have any program the you recommend me for learning how to create my Facebook page and to setup? Thank you in advance. There aren’t many great programs out there that walk you through the creation of your Facebook page. Facebook usually outlines it pretty well. If you are interested, Wealthy Affiliate would show you exactly how to set it up in a video lesson. Click on this link if you are interested in learning more about how to set it up from scratch. Good luck with your online business. I’ve got faith in you! I actually really enjoyed this post to the point of bookmarking it. The information was presented succinctly and in a beneficial way. I will be using your tips to start my business social media presence going forward. Thank you for taking the time to share your expertise with newbies like me! That’s awesome to hear my friend! Thanks for the bookmark. I always am happy to hear that my readers gain a bit of value out of what I’m sharing. It keeps me writing new content and making sure to stay up to date with online business trends and important topics. You’ll do great, just stick with it and ask if you have questions! Oh my God!! This is so informative. I am super excited to have come across a business article like this. I never knew about Google+ before. And I never understood how to maximize the use of social media in my new online business career. Your information is powerful and I will always love to read all your posts from time to time. I have come to understand the power of social media in online business and also the major and minor social media platforms. In fact I will be visiting your website often because I will need your assistance as I kick of my online business career. Thanks so much for adding to my knowledge. I appreciate. I’m glad that I could help you with understanding social media a bit better and introducing you to Google+. It really is an awesome platform for making certain you get indexed and ranked in a timely manner. While new, it seems like you have a good grasp on things early on. That’s very important to your success. I’m also glad that you find my site helpful, I am always here to answer questions or help in any way I can so certainly stop in if you ever need anything. If you don’t find what you are looking for you can always head to my Wealthy Affiliate profile and send me a PM. I take article requests and actually can help answer questions on the fly over there. Thanks for stopping in and reading.